NBC Sports begins its first season as the official home of Monster Energy AMA Supercross, an FIM World Championship, this week with live coverage of the season-opening event from Angel Stadium in Anaheim, Calif., this Saturday night at 10 p.m. ET on NBCSN, with live streaming on NBCSports.com and the NBC Sports app. 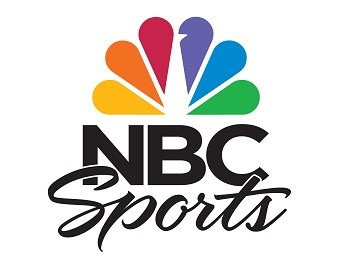 NBC Sports Group will present comprehensive coverage of all Supercross heats, last chance qualifiers and main events across NBC, NBCSN, NBCSports.com, the NBC Sports app, and for subscribers on NBC Sports Gold – NBC Sports Digital’s direct-to-consumer live streaming product. NBC Sports Gold is offering subscribers the “Supercross Pass” – a comprehensive one-stop-shop package of events that will include Race Day Live, Supercross qualifiers and main event races live and without commercial interruption, as well as full on-demand replays. “Supercross Pass” is available now for $74.99. Click here to purchase. There is also a combined package on NBC Sports Gold that provides subscribers with both the Supercross and Motocross passes. This weekend’s Supercross coverage begins exclusively on NBC Sports Gold at 4 p.m. ET with the first qualifying sessions, and continues at 6:15 p.m. ET on NBC Sports Goldwith the second round of qualifying sessions. Live coverage of the heat races, last chance qualifiers and the main event will air at 10 p.m. ET on NBCSN and will stream on NBCSports.com, the NBC Sports app, and NBC Sports Gold. An encore will air Monday at 7 p.m. ET on NBCSN. Sat., January 5 Anaheim – Qualifying Session 1 NBC Sports Gold 4 p.m.
Anaheim – Studio Coverage NBC Sports Gold 5:30 p.m.
Anaheim – Qualifying Session 2 NBC Sports Gold 6:15 p.m.
2019 Supercross Season Preview (Encore) NBCSN 9 p.m.
Anaheim –Event NBCSN* 10 p.m. Mon., January 7 Anaheim –Event (Encore) NBCSN* 7 p.m.
Jason Anderson (Rockstar Energy Husqvarna) took the 2018 Monster Energy Supercross season title in the 450SX Class, his first career Supercross championship, edging out Marvin Musquin (Red Bull KTM) for the title. NBC Sports has announced that veteran motorsports broadcaster Ralph Sheheen, five-time Supercross champion and seven-time Motocross champion Ricky Carmichael, host and former racer Daniel Blair, and reporter Will Christien are slated to serve as its lead Supercross commentary team for the 2019 season. Sheheen began announcing Monster Energy Supercross in 2005 and will once again deliver play-by-play action in 2019. Carmichael, who remains “The Greatest of All Time” and one of the most impressive athletes in the history of the sport, joins Sheheen in the booth for the 45th season of Monster Energy Supercross. Blair, a former professional Supercross racer and Arenacross West Coast Lites Champion turned Race Day Live co-host, will serve as on-track analyst. Christien joins NBC Sports’ Supercross coverage following her work as a reporter on its Pro Motocross and Global Rallycross coverage. NBC Sports’ 2019 Supercross coverage from Anaheim marks the first of 15 consecutive weeks of Supercross on NBC, NBCSN, NBCSports.com, the NBC Sports app and NBC Sports Gold. The 2019 schedule includes a pair of events airing on NBC: Sunday, Jan. 13 from State Farm Stadium in Glendale, Ariz., and Sunday, May 5 from Sam Boyd Stadium in Las Vegas. The 2019 coverage will culminate with the Monster Energy Cup in Las Vegas on Saturday, Oct. 19 on NBCSN. Below is the full 2019 Monster Energy Supercross schedule on NBC and NBCSN. Sat., January 5 Anaheim NBCSN 10 p.m. Sat., January 12 Glendale NBCSN 9 p.m. Sun., January 13 Glendale NBC** 4:30 p.m. Sat., January 19 Anaheim NBCSN 10 p.m. Sun., January 27 Oakland NBCSN* 3 p.m. Sat., February 2 San Diego NBCSN 10 p.m. Sat., February 9 Minneapolis NBCSN 8 p.m. Sat., February 16 Arlington NBCSN 8:30 p.m. Sat., February 23 Detroit NBCSN* 8 p.m. Sat., March 2 Atlanta NBCSN 7 p.m. Sat., March 9 Daytona NBCSN 7:30 p.m. Sat., March 16 Indianapolis NBCSN* 11 p.m. Sat., March 23 Seattle NBCSN 10 p.m. Sat., March 30 Houston NBCSN 8 p.m. Sat., April 6 Nashville NBCSN* 11 p.m. Sat., April 13 Denver NBCSN 8:30 p.m. Sat., April 27 East Rutherford NBCSN 5 p.m. Sat., May 4 Las Vegas NBCSN 10 p.m. Sun., May 5 Las Vegas NBC** 12:30 p.m. Sat., Oct. 19 Las Vegas NBCSN 10 p.m. Sat., January 5 Anaheim – Qualifying 4 p.m.
Anaheim – Main Race 10 p.m. Sat., January 12 Glendale – Qualifying 3 p.m.
Glendale – Main Race 9 p.m. Sat., January 19 Anaheim – Qualifying 4 p.m. Sat., January 26 Oakland – Qualifying 4 p.m.
Oakland – Main Race 10 p.m. Sat., February 2 San Diego – Qualifying 4 p.m.
San Diego – Main Race 10 p.m. Sat., February 9 Minneapolis – Qualifying 2 p.m.
Minneapolis – Main Race 8 p.m. Sat., February 16 Arlington – Qualifying 2 p.m.
Arlington – Main Race 8:30 p.m. Sat., February 23 Detroit – Qualifying 1 p.m.
Detroit – Main Race 7 p.m. Sat., March 2 Atlanta – Qualifying 1 p.m.
Atlanta – Main Race 7 p.m. Sat., March 9 Daytona – Qualifying 1 p.m.
Daytona – Main Race 7:30 p.m. Sat., March 16 Indianapolis – Qualifying 1 p.m.
Indianapolis – Main Race 7 p.m. Sat., March 23 Seattle – Qualifying 4 p.m.
Seattle – Main Race 10 p.m. Sat., March 30 Houston – Qualifying 2 p.m.
Houston – Main Race 8 p.m. Sat., April 6 Nashville – Qualifying 2 p.m.
Nashville – Main Race 8 p.m. Sat., April 13 Denver – Qualifying 2:30 p.m.
Denver – Main Race 8:30 p.m. Sat., April 27 East Rutherford – Qualifying 11 a.m.
East Rutherford – Main Race 5 p.m. Sat., May 4 Las Vegas – Qualifying 4 p.m.
Las Vegas – Main Race 10 p.m.